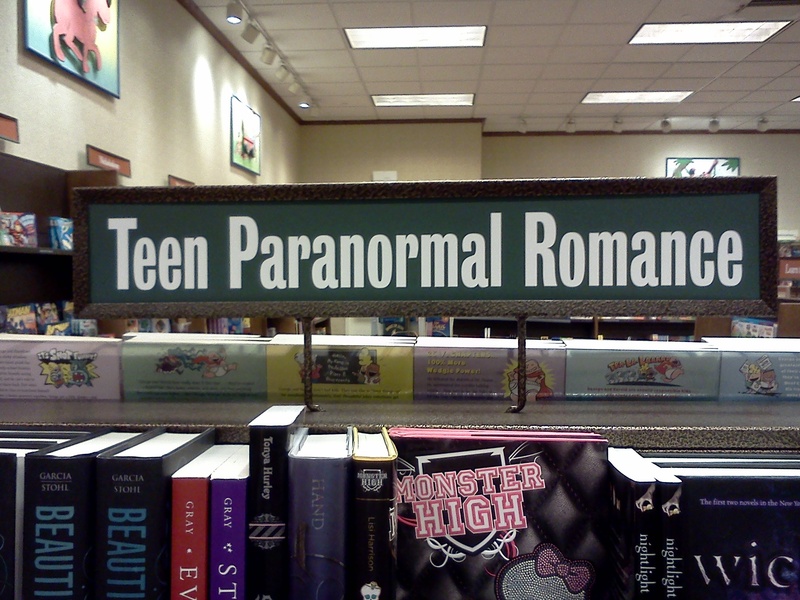 Editorial | Teen Paranormal Romance? Gag Me With a Spoon! 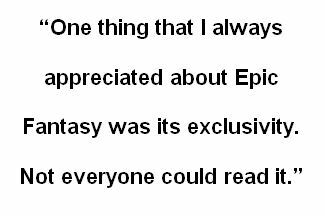 I’ve spent a lot of time recently reading, and occasionally reviewing, young adult fiction—mostly fantasy. While doing so, I have lamented several times about the eroding quality of YA literature. After all, I remember reading many fantastic books as a child and preteen. Our local library was near enough that my siblings and I were allowed to bike there, once our mother deemed us responsible enough. We would spend hours pouring over the shelves, and then bike back home with backpacks bursting at the seams. Frequently, especially during the summer, the library system would flash a caution screen, “WARNING: THIS PATRON IS OVER THEIR LIMIT.” The librarians never said anything to us; they just quietly clicked OK, and let us take out as many books as we wanted. The Hero and the Crown, Crown Duel & Court Duel, Half Magic, The Black Stallion, Redwall, Tom’s Midnight Garden—each of these had characters that seemed to leap off the page and into my imagination. I fell in love with the male leads, or rewrote the story in my mind and superimposed my own characters on their worlds long before I was aware of fan fiction. These were the pinnacle of young adult fiction. In current YA fantasy, especially, tropes seem to be worn to the bone. The most clichéd of these seems to be one of several variations on the idea that the protagonist is not what he/she appears to be. He can be the “Chosen One,”—the answer to some prophecy, come to save everyone from some great evil—a prince in disguise, or sometimes the unwitting mixed child of a human and a non-human (normal animal, mystical beast, or god). This seems to be considered most believable if he has been orphaned, split from his family by a catastrophe, or abandoned by his caretakers. This becomes even more trite if he discovers his magical powers/super-secret heritage right before or immediately upon puberty. I could probably have just put up this picture with no text at all and y’all would understand. However, to the young adult reader, many of the plot devices that an adult has seen ad nauseam are fresh and new. Let’s face it, many of these have become so laughably worn out because they can be used with such beautiful effect when written well. The first time I read a Xanthian novel, I laughed over it for days. I recently reread one of Piers Anthony’s books and was horrified at the hackneyed phrases and the threadbare tropes. What bothers me perhaps the most about cheap YA fiction is that it is no longer being read exclusively by young adults. Grown adults now gush about the events of Breaking Dawn as though they happened to a best friend. When grownups cannot tell the difference between beautifully written world building and fan fiction bound between paperback covers and slapped with a publisher’s logo, then who can? Worse yet, with the advent of online review boards, such as Amazon, terrible books are being recommended willy-nilly. I have learned that just because the majority of appear to be written by adults does not make them trustworthy. YA Fantasy has made fantasy marketable, but it hasn’t improved the content of the genre. My advice to fantasy readers who prefer a higher order of literature to avoid books recommended by obvious bottom feeder readers (on Amazon, these are usually the readers who write reviews full of grammar/spelling/syntax errors and who use too many capital letters and exclamation points), and to be willing to set a book aside if it lacks any pith by chapter three. What makes you love or hate a YA fantasy book? Do you have any authors you especially love or hate? Let us know in the comments. While I was at New York ComicCon, I was fortunate enough to be able to snag several advance copies of some really interesting books. I am really pleased to be able to review these books before they are available for sale. 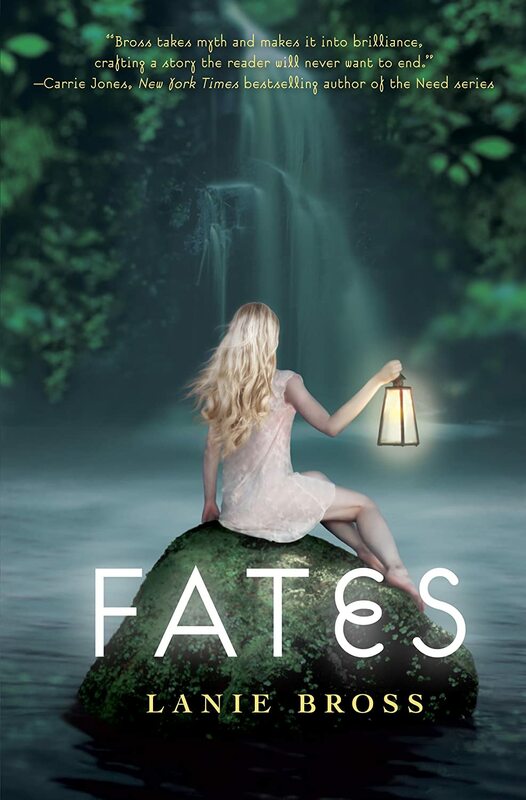 Today’s review is Fates, which will go on sale next month. The first couple of chapters were told mostly from the point of view of typical, modern, high school students. The dialogue is atrocious, and my heart sank. I was prepared to put the book down. Then the story seemed to come into its own, and I really started to enjoy it. Corinthe, the main character, was a Fate, once upon a time. She made a mistake while doing her job one day, and her punishment was to leave her Eden-esque home in Pyralis (in an alternate dimension) and walk the earth. She is now an Executor, tasked with carrying out assignments to make sure that humans’ fates proceed according to plan. The other protagonist, Lucas Kaller, is a human who has been forced to grow up too soon. His home life fell apart after his mother left the family, and his dad retreated inside himself. His sister turned to drugs, and Luc was left to keep the pair of them alive, if not functional. In opposition to the orderliness of the Fates and the current system, a group that call themselves Free Radicals roam between worlds and attempt to bring chaos to all dimensions. The plotline of Fates is fairly straightforward, with few surprises for the experienced reader. The heroes go on a quest, feel a strange attraction for one another, and fall in love. However, the quest itself has some unique twists—Corinthe seeks redemption, while Lucas seeks something else entirely—and the final act of this book is not at all what I expected from fluffy YA fiction. The setting of this world was well created. Most of the scenes set on Earth feel like a depiction of a yuppy, California city. The secondary characters aren’t quite as fleshed out as I would like, but the primary characters are very bright and lifelike. It is easy to empathize with them. The prose is simple; the vocabulary is light and pleasing. I appreciated that the dialogue matured quite a bit once I got through the first few scenes of high schoolers interacting. Fates caught me by surprise and made me change my initial judgment. I liked Corinthe a lot by the end. It certainly is not a classic piece of fiction, but it is very enjoyable, light reading. This book goes on sale on February 11, and will be available in hardback and e-book form. I would say that it is worth buying at the e-book price. Therefore I Geek’s rating is three and a half out of five Death Stars. For those of you, like me, who are stuck at home due to the snow, we have some Winning Science here to keep you company. It’s said that every generation has it’s war. For my generation, it’s the War on Terror, specifcally the conflicts in Iraq and Afghanistan. Whatever your political views might be, I think we can all agree that we must take care of those returning home from these wars, especially those who’s wounds have caused serious changes in their life. The FDA, in association with Walter Reed National Military Medical Center, has entered into clinical trials for a new prosthetic that will help these veterans, and all other amputees for that matter, take a step closer to their previous lives. The prosthetic requires the implantation of small sensors in the limb which read signals the signals coming directly from the brain. These signals are then transmitted to a belt pack which in turns controls the prosthetic. The device is capable of 3 degrees of motion: wrist rotation, finger closing and extension, and lateral thumb movement. It does not yet allow a full range of motion, but is a significant step forward. Generally speaking, it’s common knowledge that well ordered systems are more efficient that chaotic ones. Well scientists at the Brookhaven National Laboratory are turning common knowledge on its head. 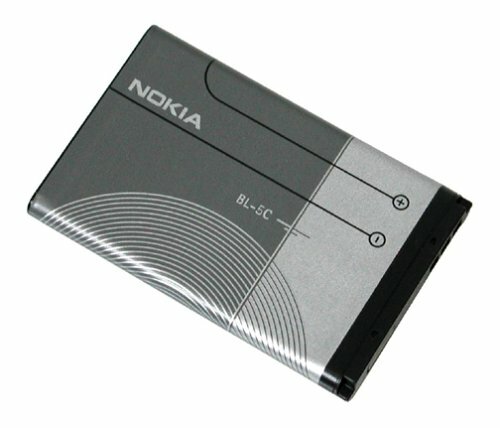 During experiments on lithium ion batteries, scientists discovered that batteries with less order, but excessive amounts of lithium performed equally as well as ordered batteries after 500 to 1000 charge cycles. Another benefit of more chaotic construction is volume stability (battery won’t expand as it ages). Researchers are now investigating what happens after even more charge cycles and exploring what other materials they can use. Turns out my room wasn’t messy when I was a kid, it was more efficient. If only my mother had known that. 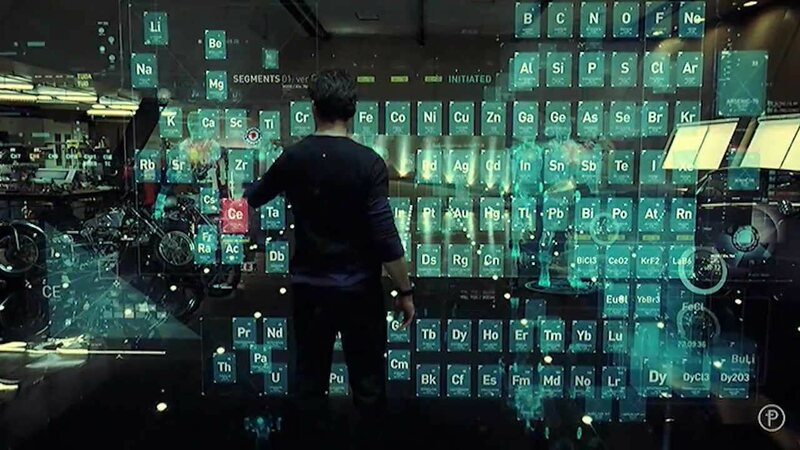 Who here doesn’t want a transparent computer screen, just like in the movies? I know I do. Thanks to MIT, that desire is a step closer to being reality. Not only that, but MIT managed to do it for about ten bucks. I am all about cheap cutting edge technology. The other fascinating part is that MIT’s screen, unlike many others, is visible from almost any vantage point. I may not be Iron Man, but a man can dream can’t he. There was a lot of good at MarsCon. Being a local event makes it much more manageable and relaxed than other, larger events such as NYCC. One of the first things we did was check out the gaming area and pretty quickly got pulled into a game called Quickfire. 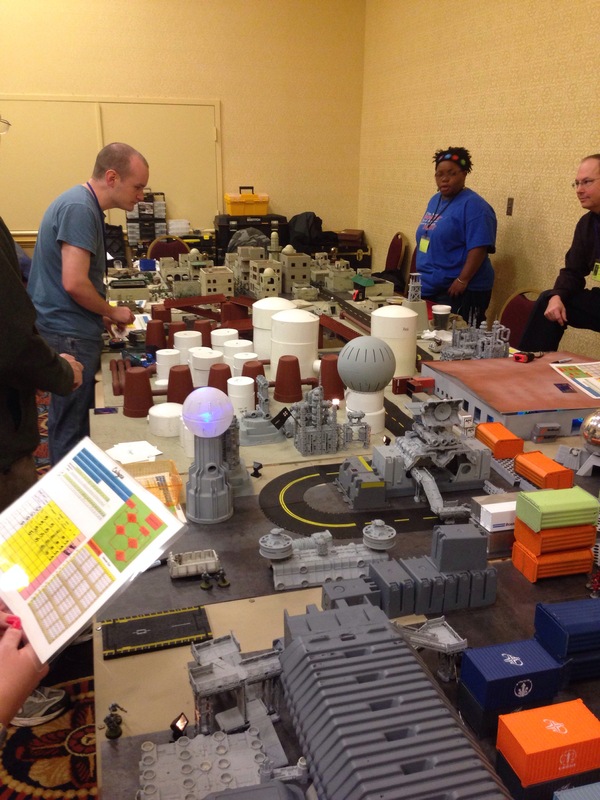 Quickfire is a universal tabletop miniature game, meaning that it doesn’t matter what miniature game pieces the players use. The simple rules can get a game going for any number of players in no time. As players go through the game, there are progressively more difficult environmental challenges that appear. There are two major drawback to the game: the need for a GM-esqe person and the high risk of the game dissolving into complete chaos. These issues were only minor, though, and the overall game play was enjoyable. This was an epic game table, the kind I’ve only dreamed of. 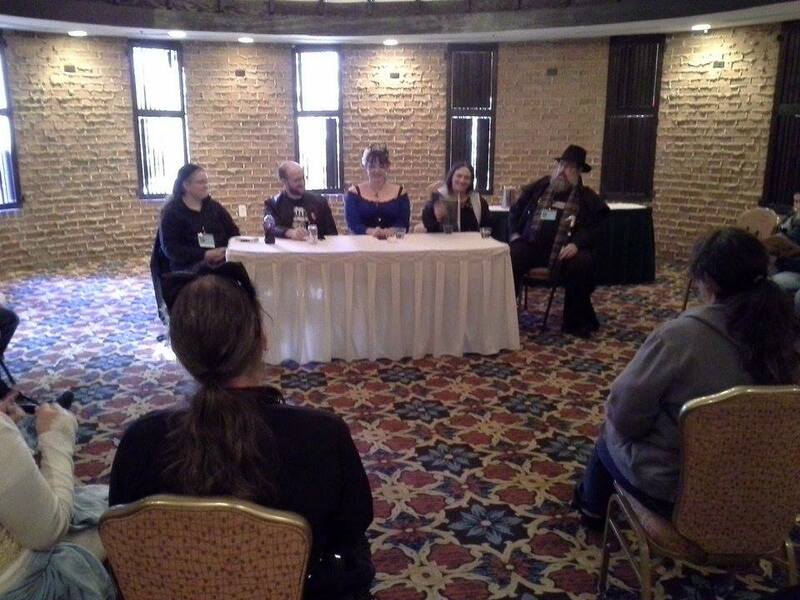 MarsCon also had several good panels, which in my experience is a rarity at local conventions. On Sunday morning I attended a panel on editors and their changing role at someone’s (*cough*Tracy*cough*) urging and it was a fantastic panel. Of the four panelists, two were editors, one was a writer, and one did both. Will McIntosh, Carrie Ryan, Edmund Schubert and Laura Haywood-Cory, along with a moderator Michael Pederson, who also happened to be an editor, were intimately familiar with the subject they were discussing and it showed. This is the kind of panel I want to attend all the time. It was engaging, informative and stacked with experts. Sunday afternoon I went to “Cult Film: The Atomic 50’s: When Supernatural Horror Went Scientific”, a panel on the scientific turn that B movies took in the 1950’s, which was also amazing. There was so much useful information in this panel. 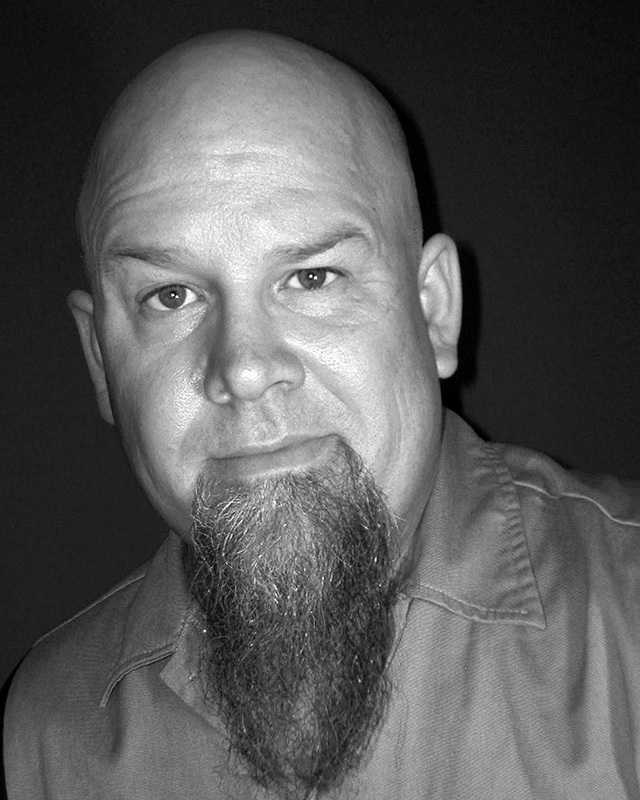 While I am uncertain about the presenter’s credentials, he was incredibly knowledgeable and was so passionate that it was easy to get caught up in his excitement. This was also one of the few panels in which the audience participation was value added. Many of them had seen the movies in question and were able to jump in when the presenter forgot a character or actor, but then quieted down when he started speaking again. Of course any event with Mikey Mason is always a blast. Mikey gave us a nice mix of his better known material, plus a couple of songs from his most recent album. If his Facebook page is to be believed, and I think it is, then he wrote a whole new album while he was at MarsCon! No convention is perfect and MarsCon was no exception. Mikey’s concert had an hour of scheduled setup time but it was still forty-five minutes late starting due to “technical difficulties”. We can all understand some minor glitches—lord knows I’ve seen them at NYCC—but a delay of this length due to problems with fundamental things like lighting and sound is not acceptable. I was surprised to see a venue as experienced as this one having issues like this, especially with an artist like Mikey who has a very simple, straightforward setup. Speaking from experience, the rig should have been set up before hand and then just moved into place. Also, I’ve never been particularly thrilled with events held in hotels. Typically they don’t have large rooms that can serve as a proper exhibit halls. Dealer rooms have to be squeezed into small rooms and tend to spill out into the hallways which leads to traffic flow problems. While that wasn’t an overwhelming issue in the Fort Magruder Hotel & Conference Center, another hundred or so additional people in attendance might have made it much more of a problem. The positive side of the hotel is that it had proper spaces for panels, which other conventions (such as the VA Comicon) do not have. In a later panel on cosplay, the panelists were significantly better informed, the least experienced having done it for seventeen years, but they were unable to keep the panel on track. I have no problem with audience interaction during a panel. Especially at an event as small as this it’s a great chance to have a more intimate experience with the panelists. Having said that, the panelists are the experts. Attendees want to hear what they have to say, not opinions from the other audience members. This panel would have benefited greatly from a strong moderator with firm control of the room. A good moderator should ask some basic questions, get the panelists discussing the topic and then towards the end take some questions from the audience. In the end we had a great weekend and I’ve got some great ideas for new content, so keep your eyes open for it. MarsCon will definitely be making an appearance on my 2015 calendar.